Load shedding ended at 20:00, Eskom spokesperson Khulu Phasiwe announced on Tuesday evening, two hours earlier than expected. Phasiwe said this was due to unit 5 of Medupi power station being returned back to service. "The power grid is expected to be constrained during [Wednesday] morning's peak period unless several units return back to service overnight. Eskom will continue to monitor the power grid and provide regular updates through various media platforms," he tweeted. The power utility earlier announced that it would likely institute load shedding for five hours between 17:00 and 22:00. This is the first time in a month that Eskom has resorted to planned rotational power outages in a bid to keep the grid stable. The decision came in the wake of warnings by the power utility, both on Monday and earlier on Tuesday, that the power grid was severely constrained. During load shedding Eskom informs municipalities how much power they have to cut. But this does not necessarily mean there will be load shedding in all municipalities. The City of Cape Town said on Tuesday evening that it would not be instituting load shedding due to spare generation capacity. 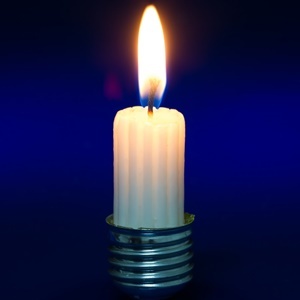 Eskom deputy spokesperson Dikatso Mothae told Fin24 on Tuesday evening that the power utility was instituting stage 1 load shedding. Stage 1 load shedding means that 1 000 MW of electricity needs to be shed in order to prevent the national grid from becoming severely damaged. "We’ve been saying since [Monday] that ongoing industrial action has meant that some people have not been showing up for work and that there has been sabotage in our facilities which has been creating vulnerability in the system." In a statement on Tuesday evening, Eskom appealed to South Africans to use electricity sparingly, and switch off geysers during peak periods between 05:00 and 10:00, and again between 17:00 to 22:00. The power utility said customers should consult load shedding schedules and "plan on the assumption that load shedding will take place," and indication that Tuesday evening's power outages may not be isolated events. Load shedding schedules can generally be found on the websites of municipalities. Customers who get their electricity directly from Eskom can find load shedding schedules on Eskom's website.